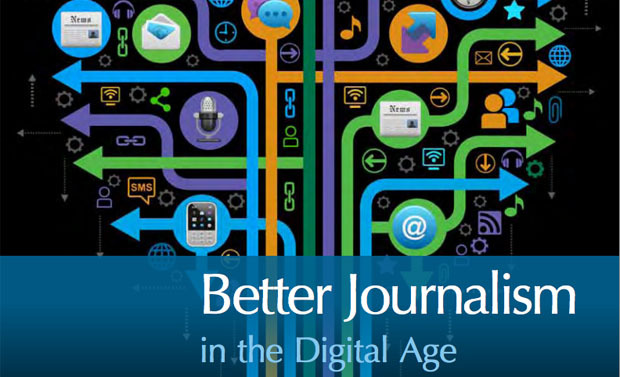 A joint seminar will be held at City University London today with the Carnegie UK Trust to discuss the recommendations made in its report ‘Better Journalism in the Digital Age’. The report, which was published in February to be submitted to the Leveson inquiry, included the charity’s ‘plan for better journalism’, a series of seven recommendations including a call for all journalists and news organisations to adhere to an “industry-wide code of conduct”. Author Blair Jenkins, a Carnegie Fellow who was previously head of news and current affairs at BBC Scotland and STV, said in the report that a “credible and realistic” code of conduct adhered to throughout the industry “would represent perhaps the greatest sustainable improvement that could be made”. Many different news organisations in the UK and elsewhere have editorial guidelines or declared standards to which they expect journalists to adhere. There seems little doubt that this is important. However, getting all journalists to observe a clear and consistent ethical code of conduct would represent perhaps the greatest sustainable improvement that could be made in UK news media. And it is possible to create a credible and realistic code of conduct which would embody very high standards and values. In the report he cites the Society of Professional Journalists’ code of ethics in the US as “one persuasively well-written set of editorial guidelines”, and “a model from which we can learn”. There is a definite sense in the SPJ code of journalists themselves actively trying to encourage and advocate high standards of personal professional conduct. It may be precisely because any form of mandatory regulation is constitutionally impossible that journalists have striven to adopt and uphold higher levels of editorial and ethical behaviour. An adaptation of this kind of code and these priorities could pave the way for a more consistently ethical approach by journalists in the UK. However, in order to have authenticity, such a code would have to embody and express the highest aspirations of journalists in the UK. Other recommendations by the charity include calls for “a regulatory solution that is independent of both government and the newspaper industry, to avoid real or perceived interference and conflicts of interest”. In reference to compliance, Jenkins said he believes “it should be possible to devise incentives which secure unanimous support and participation”, such as through the system of press accreditation and “access to important venues”. He also refers to “registered news organisations” being able to show a “recognised standards mark on their various outlets”. During the Leveson inquiry the idea that online news outlets in the UK could be kitemarked to illustrate their regulation was also discussed. A kitemarking system also formed part of the recently proposed new Media Standards Authority (MSA), to regulate non-broadcast media, by a number of industry figures led by barrister Hugh Tomlinson QC. Other recommendations include “the maintenance or strengthening of public service broadcasting”, calling on “civil society organisations” to provide financial backing to new journalism projects, “a renewed emphasis in journalism education and training” and a focus on completing the installation of high-speed broadband “to enable universal access to a wide range of digital news services and participatory media”. This entry was posted in Events, Journalism and tagged Carnegie UK Trust, code of conduct, ethics, leveson inquiry, regulation, Standards on March 7, 2012 by Rachel Bartlett.